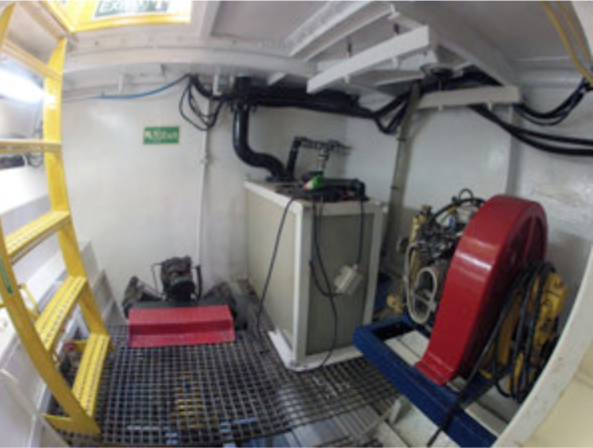 Deepworx is a catamaran and each hull is divided into 8 sections as follows, starting at the bow: 1) Crash bulkhead, 2) Bow accommodation, 3) Midship accommodation, 4) Plant and machinery room, 5) Moonpool, 6) Workshop, 7) Engine room, and 8) Void space for reserve buoyancy. 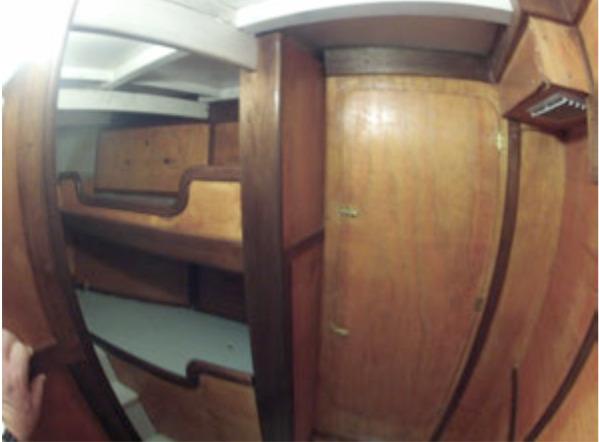 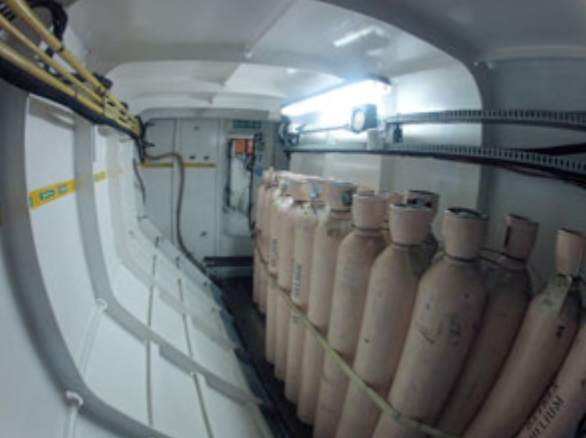 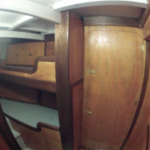 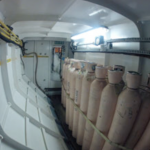 There are a total of 14 water tight compartments , 7 in each hull. 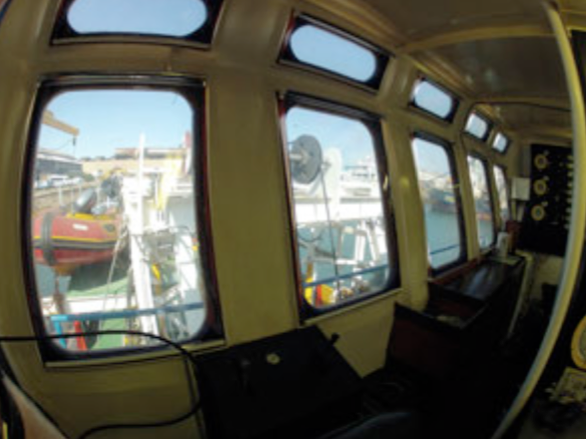 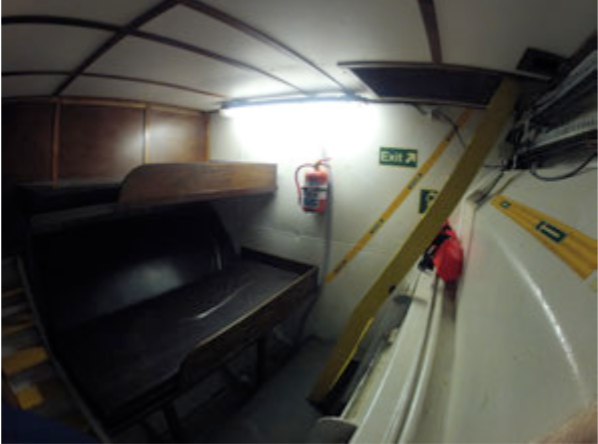 The vessel has accommodation for 14 person and can be upgraded to 16 bunks. 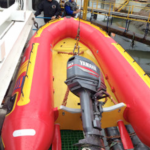 The vessel is licenced for 25 persons. 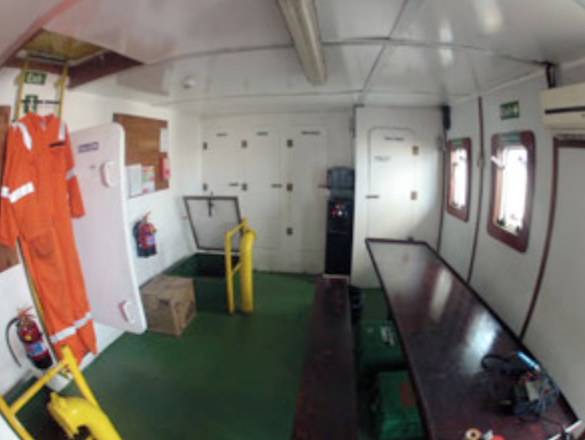 Above the two hulls, on main deck level, Deepworx has the following: air-conditioned saloon, air-conditioned mess/eating area, galley, 2 x toilets, 2 x showers, 4 x entry hatches to below deck hulls and 4 x doors for entry into main deck areas. 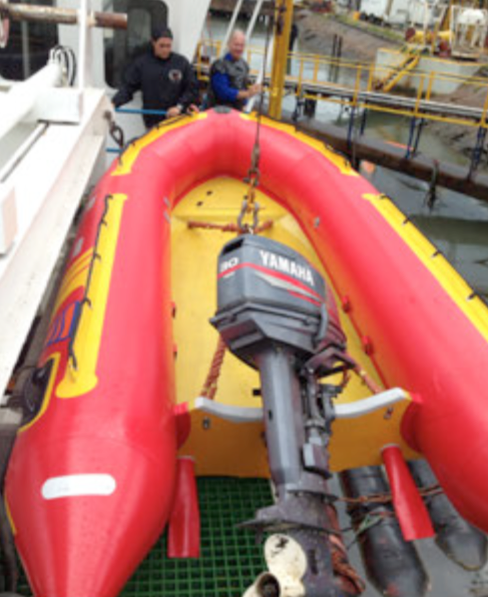 There is a work/rescue boat on the starboard side, launched by a davit. 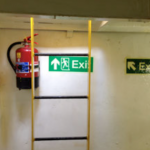 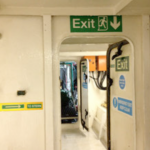 There are rescue zone doors in the gunnels at midships on each side. 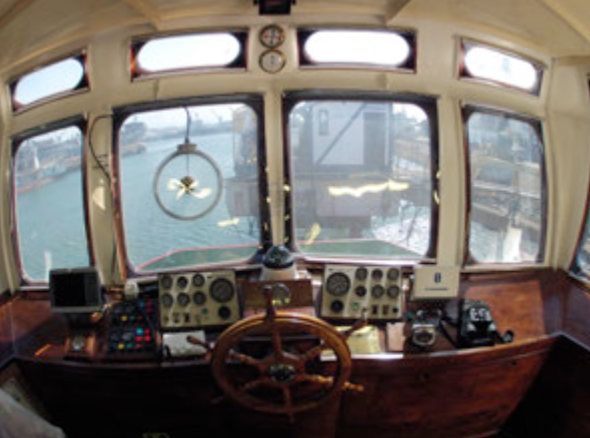 Above the main deck structure is the large bridge with windows allowing all round vision. 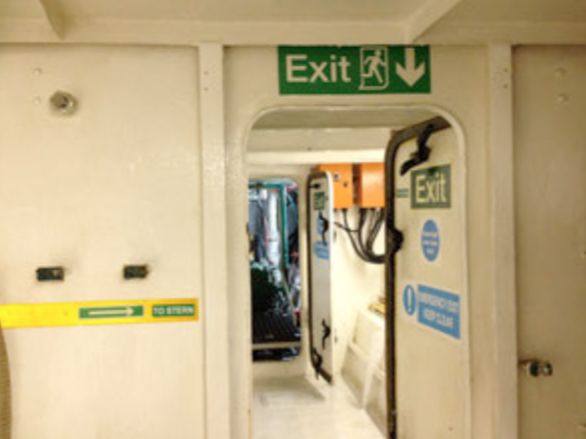 There is a door on each side of the bridge and there are 2 x air conditioners in the bridge. 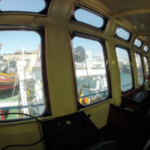 All windows have pull down sun screen blinds. 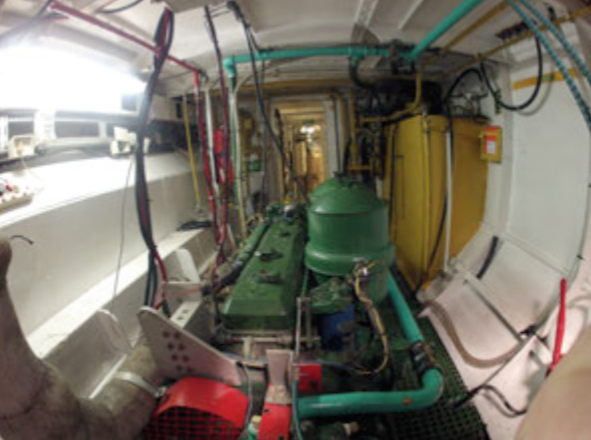 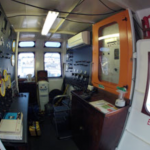 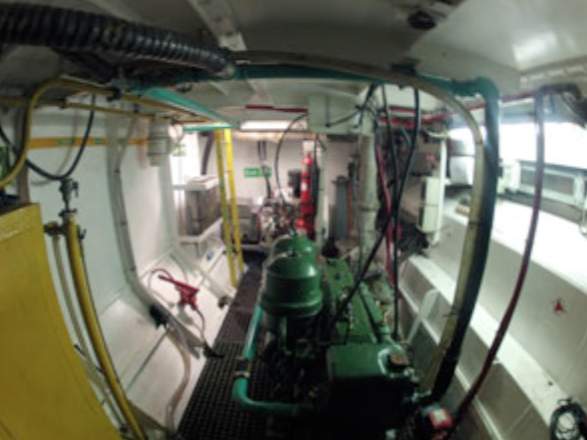 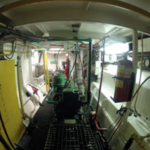 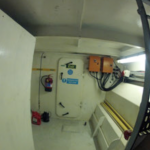 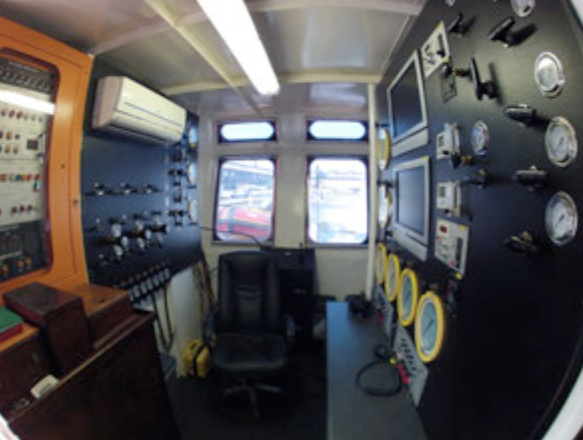 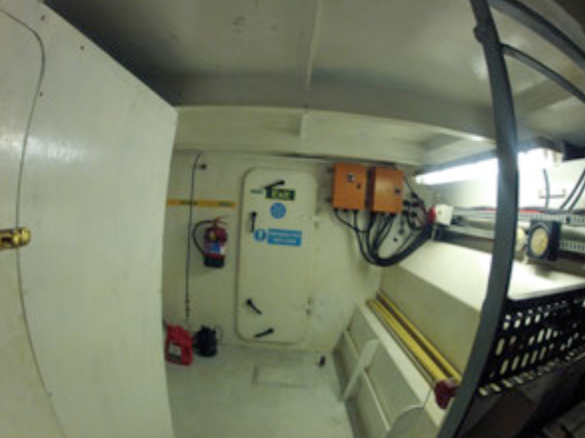 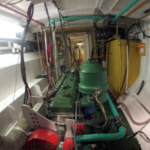 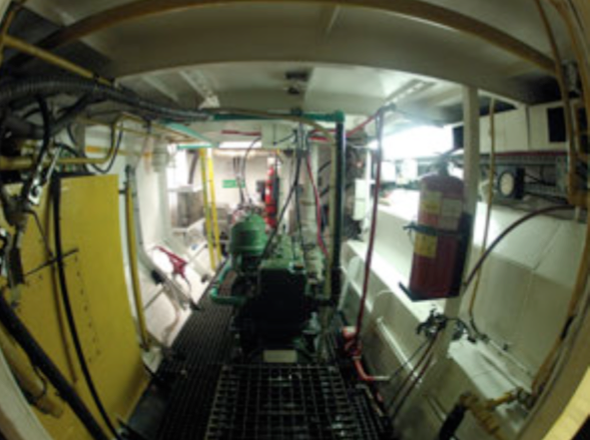 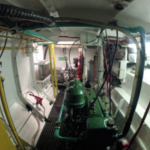 The bridge is well laid out with duplication of all engine room and generator monitoring gauges. 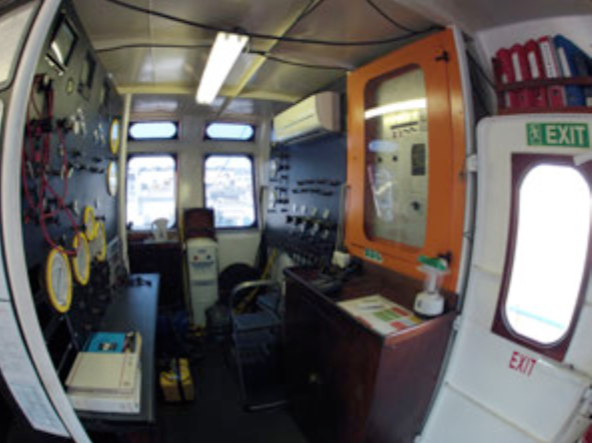 The bridge has a unique walk about helm and throttle system for in or out of bridge vessel control . 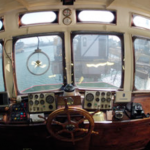 For example, the skipper can drive the vessel standing on the stern of the vessel and this is not part of the of the auto pilot system. 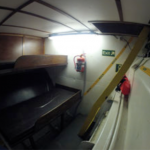 There is a wash basin, kettle, water chiller ice maker, fridge and microwave on the bridge with lots of cupboard space and work tops. 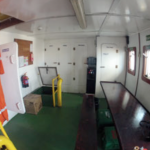 On top of the bridge (monkey Island) there are 2 x 25 man life rafts, 1 x EPIRB, 2 x large solar panels, emergency life jacket boxes, 2 x battery boxes, mast with range of lights, range of aerials for SSB & VHF Radios with DSC as well as satellite phone aerial and GPS units. 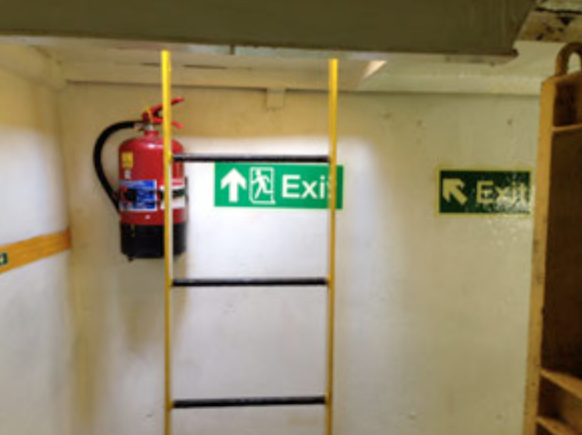 There are also 2 x search lights on top of the bridge. 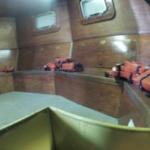 The GA and Safety Plan show more of the layout and safety equipment onboard. 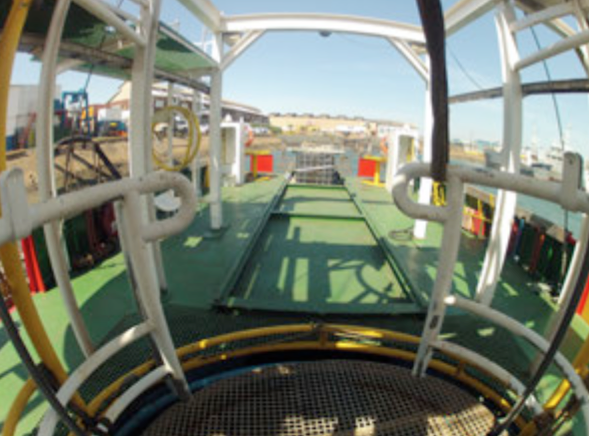 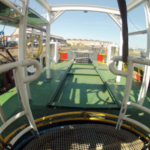 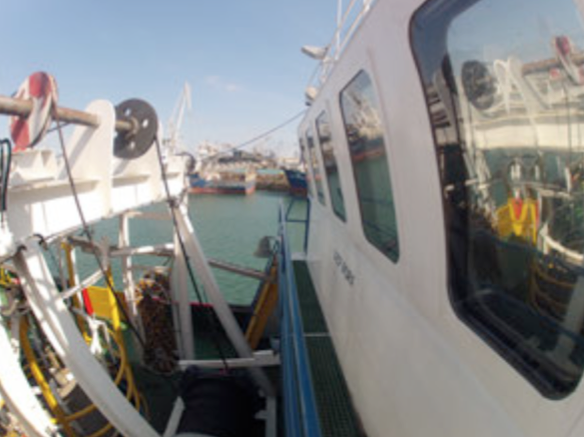 The vessel is very stable at sea providing a good working platform for various marine operations. 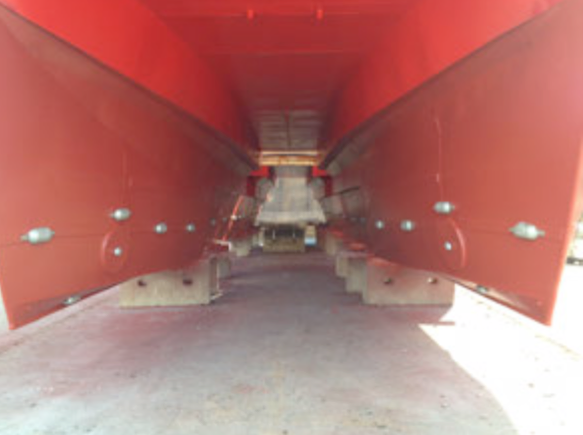 The vessel has a large flat rear deck and a large moonpool between the hulls at midships which can also be closed off with a plug. 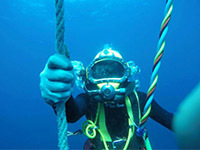 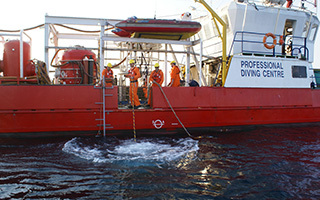 The vessel has many unique features and can be operated as a supply boat, work boat or Dive support vessel. 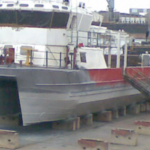 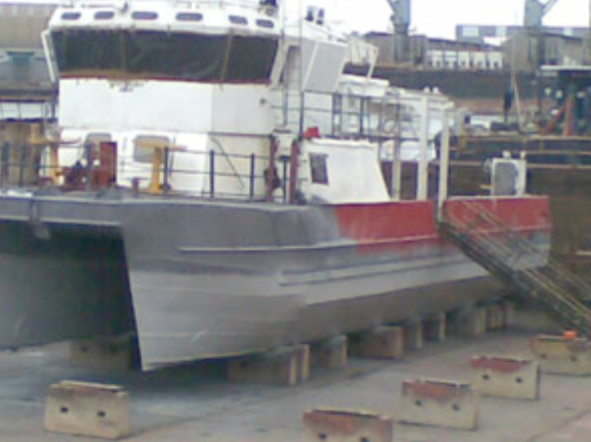 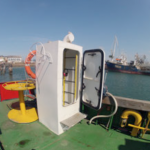 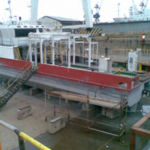 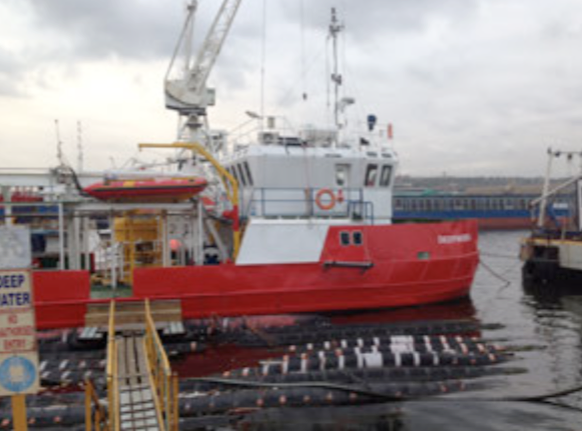 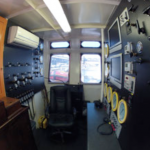 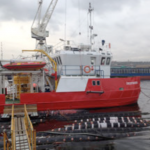 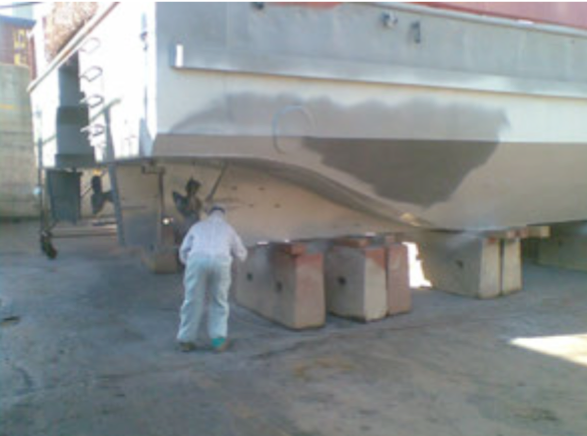 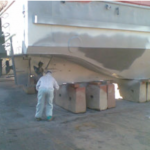 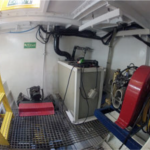 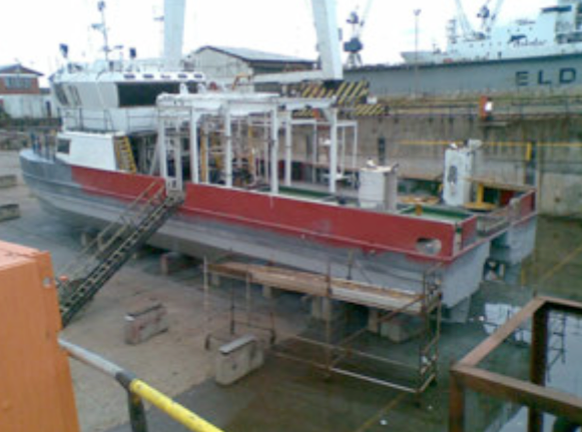 Deepworx was built as a workboat to support diving and diamond mining plant and machinery equipment operations. 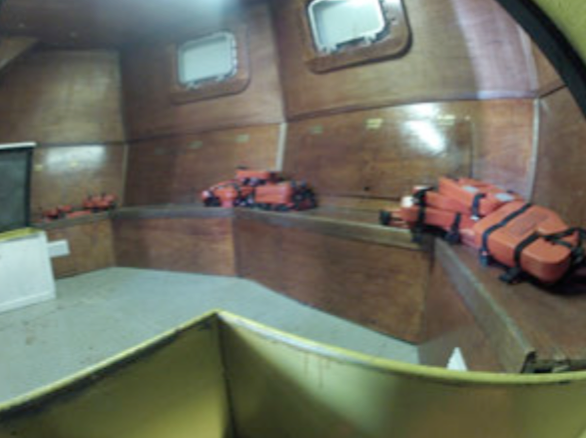 This mining equipment weighed approx. 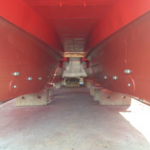 10 ton, on top of the 10 ton of equipment onboard the vessel which loaded 45 tons of gravel bags as well. 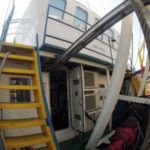 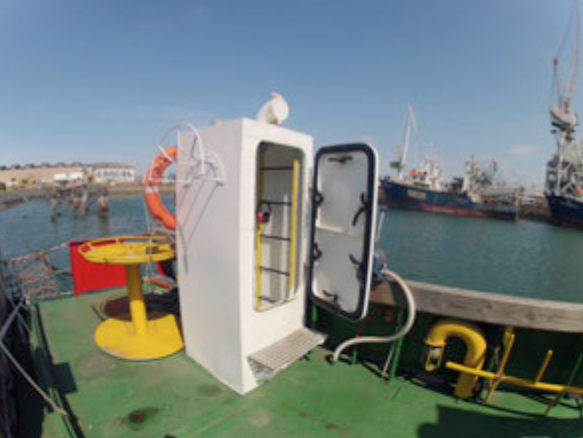 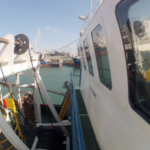 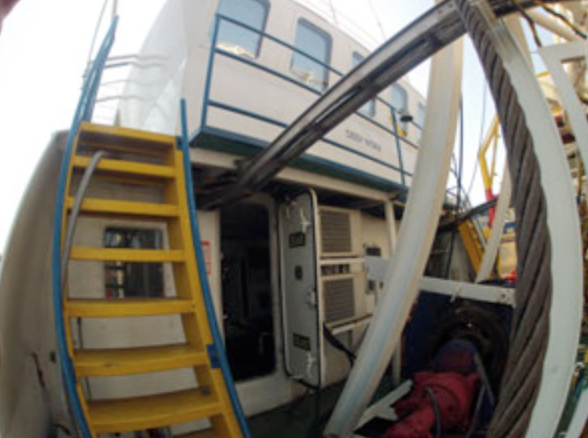 Deepworx had a major dry docking and refit in 2014, this included but was not limited to the following: new sea chests, new skegs, new stern tubes, new SS shafts, new shaft to gearbox couplings, bow & stern thruster tunnels fitted and blanked, new radio and navigation equipment, 2 x generator overhaul, accommodation and saloon upgrade.